I/How to get your visa Vietnam in Melbourne, Australia? There are two main ways to get tourist visa. If you want to get visa stamped on your passport before your trip, you can apply in person through a Vietnamese Embassy or Consulate office in Australia. 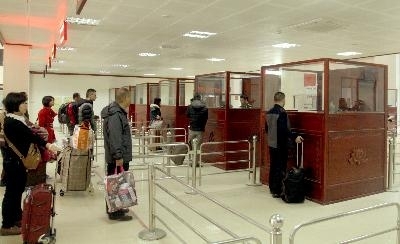 This way is applicable for all citizens who used different methods of transportation such as air-plane, bus and cruise. Entry permits form (which can vary from one Vietnamese embassies or consulate abroad to another). The form and the fee can vary by country, so please check directly the Vietnamese embassy or consulate to which you are applying. 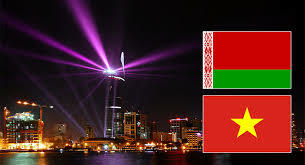 It is considered as the most convenient and fast way to obtain a Vietnam visa. Just need apply for an approval letter online and then pick up the visa at Vietnam airport. Please click here for full information. To get there, there are different ways you can use. The information below might be helpful for you to choose which one you want to use most. At the middle yet important point of Vietnam, Danang is a stop for both North and South train. Since it is a long schedule, many trains by Reunification Express train are set up with soft sleeper and air-conditioner. If you decide to use this one, please note that the ride across Hai Van Pass is so unique and beautiful – seat close to the window is smart to enjoy its beauty. There are daily frequent flight in-out to Danang international airport which is located inside the city. 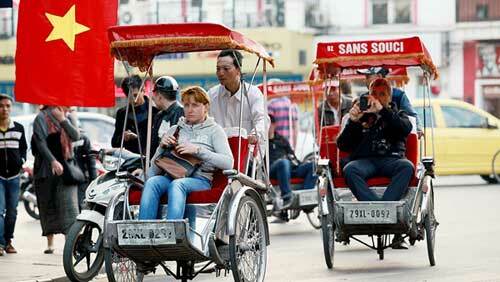 Using this type of transportation is considered as the most convenient and fast way to get to Danang. Here is some information you should notice. + Airport code: DAD (Da Nang International Airport). + Distance from Airport to city center: around 4km. + Distance from Airport to beach: around 10km. + Daily flights to Hanoi, Hai Phong, Ho Chi Minh city, Da Lat, Nha Trang, Buon Ma Thuot and Pleiku. This type of transportation is also accepted; however, you should consider deciding it based on your real departure. If the jourley is quiet far, such as from Hanoi to Danang or from Ho Chi Minh to Danang, you should consider two options above. It is safer and more time consuming. III/What to see in DaNang? The Richest, the leading entertainment website, recently has named Danang to be a world’s best travel destination in 2015. Its beauty and incredible destinations are the reason why this website recommends travelers experience there. Now let’s discover some major destinations below. 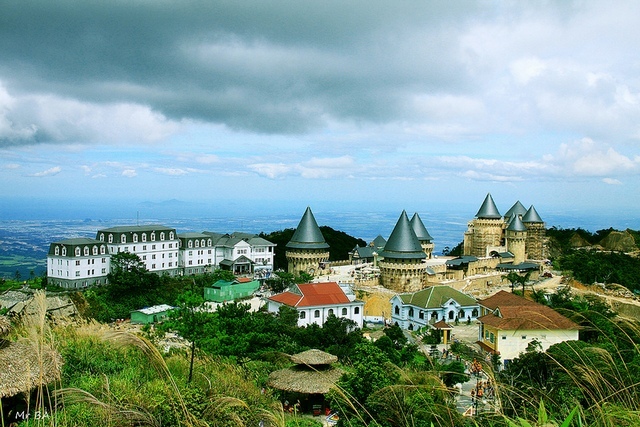 Hai Van Pass is considered as one of the most stunning and spectacular scenic hillside roads in Vietnam. Going there, you will have a great chance to discover its beauty as well as learn more about its long history…! My Khe Beach is evaluated as one of the most stunning and impressive beach with white sand stretching of around 20 miles. Should you want to enjoy sunbathing or surfing, it is truly a good place to satisfy you. 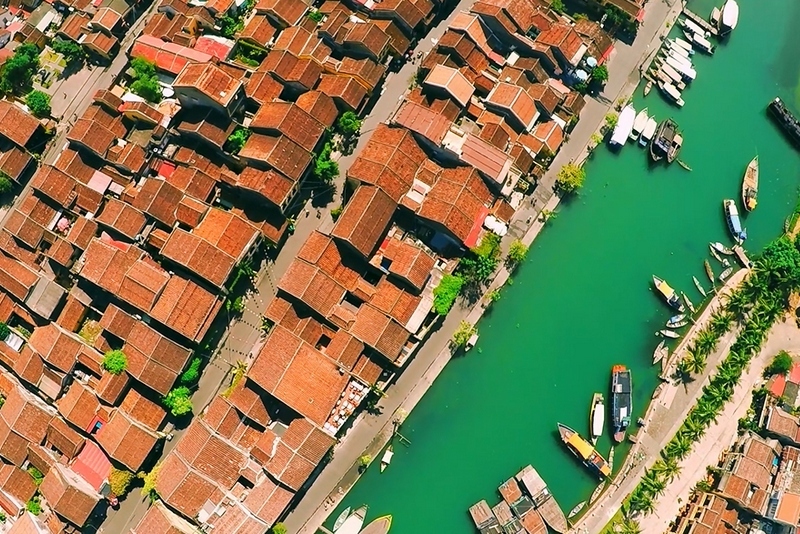 Hoi An Ancient Town, listed as a world cultural heritage, is about 30 km south of danang. You will have a great chance to wander the old streets with many ancient yet unique houses and halls. The architecture here is truly a good mixture of Vietnamese, Chinese and Japanese style. You should go there to discover its beauty fully. IV/What to do in DaNang? If you spend your trip here without enjoying its cuisine, it is truly missing. 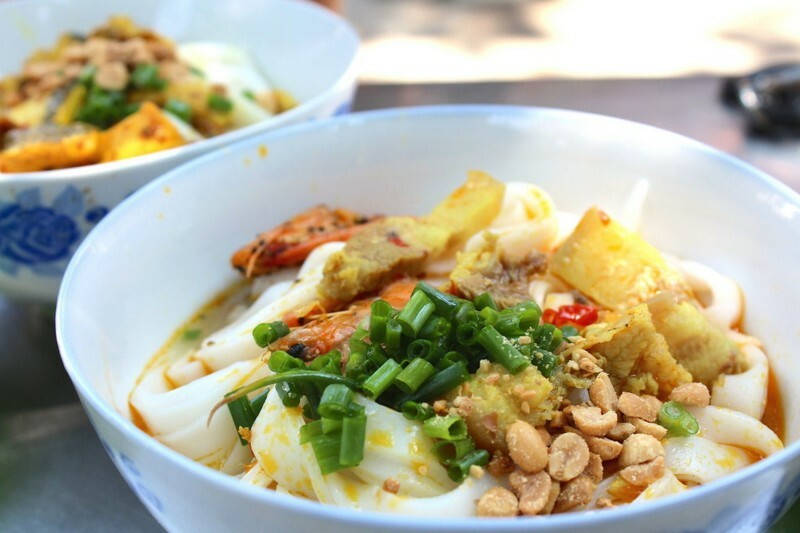 There are many delicious dishes, such as Quang Nam’s noodle, “banh beo”, Nam O Raw Fish Salad, Jelly-Fish Salad and etc. You should enjoy them to experience the good combination of different favour and spices. 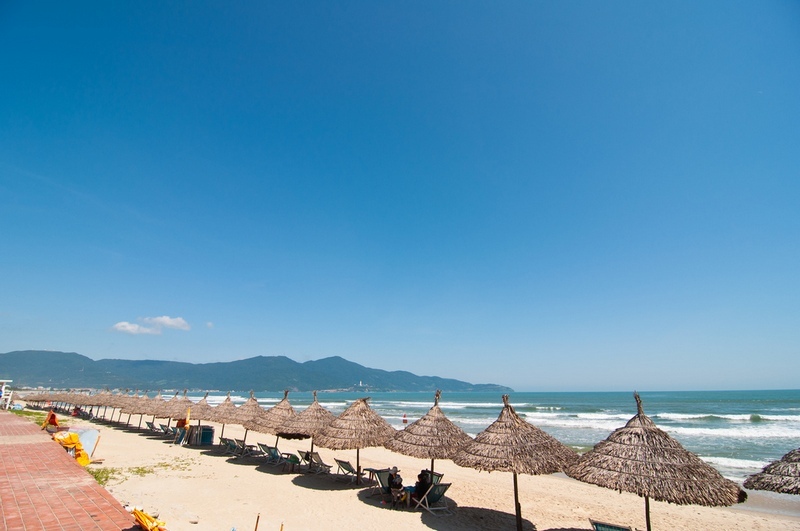 It might be said that danang has many beautiful beaches, such as Cua Dai, Non Nuoc and My Khe. With stunning view, clean environment and professional services; spending your time here is worthy. 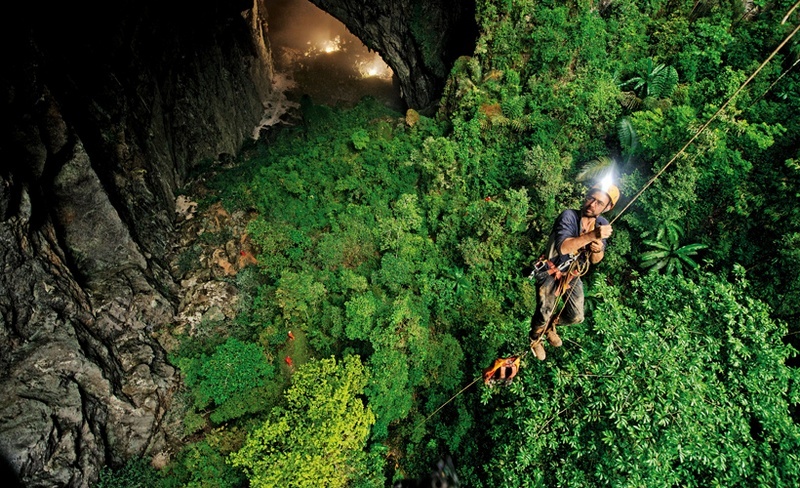 If you love adventure, Son Tra Penisula is good answer to explore the narrow jungle by hiking. There are some exclusive plants and animals listed on Red Book. When this city turns on the light, this brigde looks really charming and dreaming. 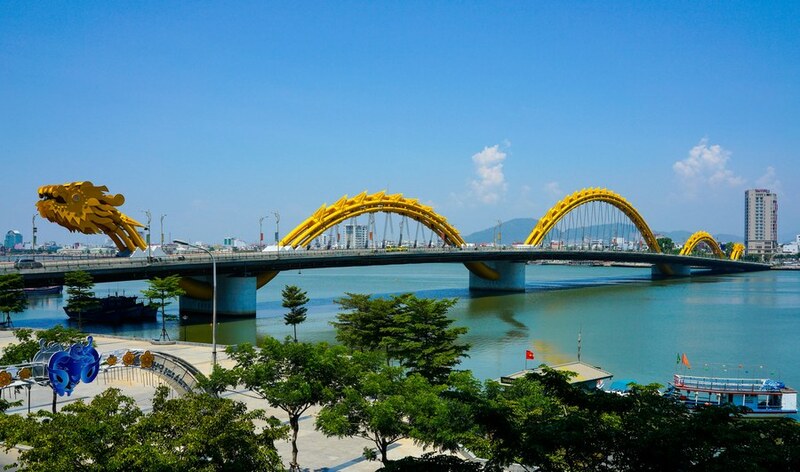 This brigde shows perfectly the modern beauty and development of danang city. You should drop in and enjoy its coold wind and fresh air by taking a small boat along Han river. Do forget to take photo there. 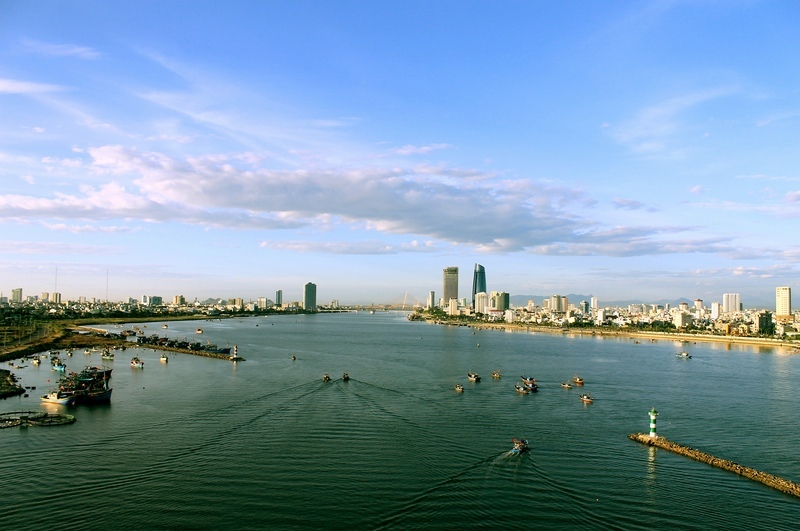 The general information above might raise your interest to spend your trip in Danang. If you go to your final decision to going there, kindly please click here to further tour information.